Yesterday I picked up one of the best packages I have recieved in a while from the post office. 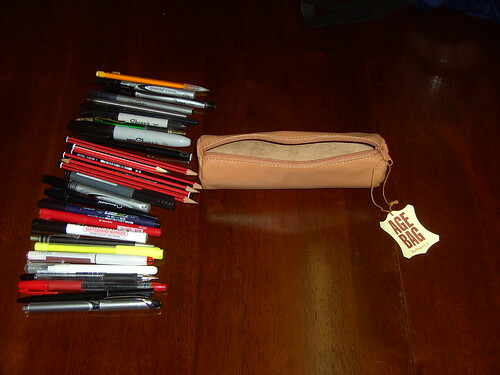 It was my order (minus the Moleskine Messenger Bag – Review to come shortly) which I had placed at NoteMaker. 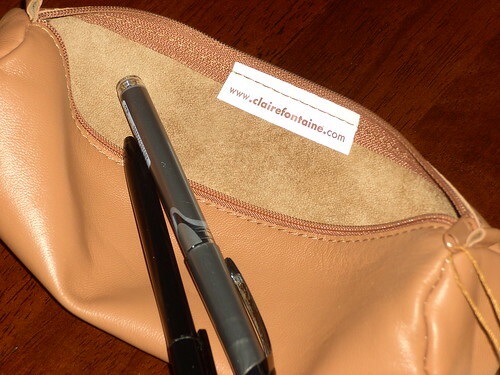 I will review everything I bought individually, and today’s review is the Clairefontaine “Age Bag” sheep leather round pencil case. I picked this one up because I don’t have a nice pencil case, and I figure if I start getting some nice pens to keep in it, I might as well. The case is a smooth, fine grained leather with a soft velure-feeling interior. The zip is small, but sturdy and closes the whole way. I decided to see how much my new case could hold. While well-made, it doesn’t really seem to be a “large” case, and I wouldn’t expect is to hold more than about 10 or 12 items. As you can see below, I set out to test this. It performed surprisingly well. I managed to fit everything on the table (minus the super Sharpie) inside, without stressing the zip. That equates to a total 29 items including pens, pencils, highlighters and anything else I could find around the house. If you were to keep it this full for a while, you would probably notice the leather stretching and (possibly) changing colour. Most cow leather items get darker over time. 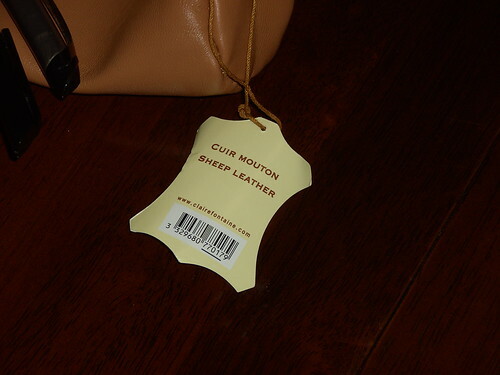 I can’t imagine Sheep’s leather to be much different. In conclusion, I’m super happy with my choice. The case is able to hold enough to be ready for spontaneous games of Pictionary, it feels great, and it’s made well. You can get one from Here at Notemaker – they come in at $24.95 Australian. I was surprised about how much it could hold too! And that is without stressing the zip. Thanks for your comment! 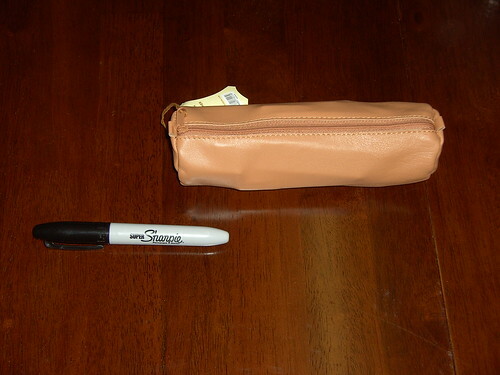 Can you please tell me how much this pencil case weighs? I am debating my options for a lightweight travel pencil case, but also want something that is elegant and nice to use. 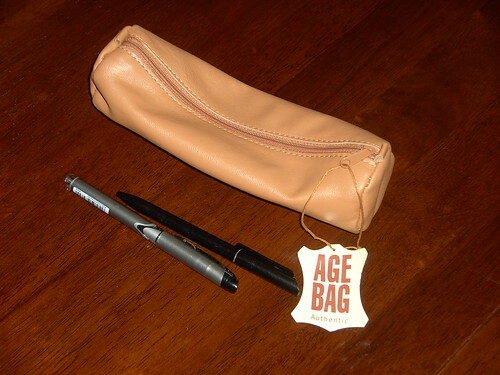 You have probably already bought it, but it is a very lightweight little pencil case.